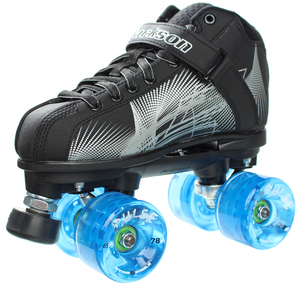 The Rave from JACKSON is the revised and improved successor of the Vibe skate. 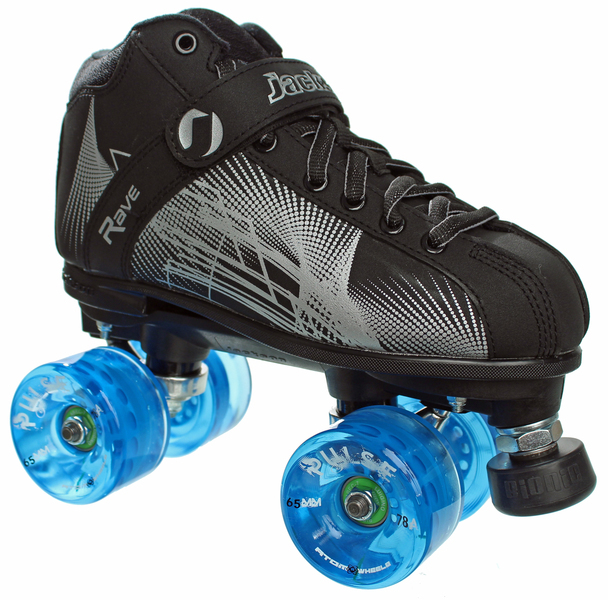 It's THE beginner skate for those who are looking for comfort and performance in one. The high-quality vinyl upper is comfortably padded and its construction is not too narrow, so that it's suitable for wider feet fit, too. in comparison to the former model, the rave has reinforced eyelet areas so it won't tear out anymore. The sturdy outer material and a powerstrap provide for proper support of the feet. The mounted JACKSON nylon plate comes with BIONIC XS stoppers. This roller skate is perfect for skating outdoors. 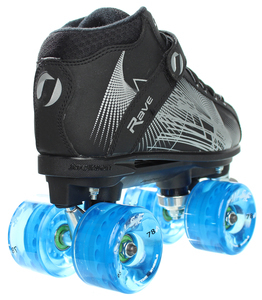 Its lightweight plate is super agile and the big 65mm ATOM Pulse wheels in 78A together with the BIONIC ABEC 7 bearings always give you a lot of speed and compensate all of the bumps. It's like skating on clouds - even on long distances. With the JACKSON Rave you will have fun from the beginning. If you bought these parts separately you'd pay 254,80 Euro. With this edition you save 54,85 Euro compared to the single purchase!